If the Google Pixel Watch looks anything like this, it's sure to be a big success. For a while now, we've been hearing rumours that Google is working on a Pixel branded smartwatch. For example, back in May, reliable tech leaker Evan Blass tweeted to say that a "a Pixel-branded watch" would be released in the summer of 2018. But then Google went on the record at the end of August to say that it would not be releasing a Google-branded smartwatch this year. "I don’t think we’re there yet," said Miles Barr, Google's director of engineering for Wear OS. Google didn't rule out a Pixel Watch altogether, though. So while it looks as though the Pixel Watch will not arrive at the 'Made by Google' launch event next week, we're still holding out hope to see a Google-branded smartwatch in 2019. While we wait for official confirmation of that watch, a brand new concept video, which we can exclusively reveal on T3.com today, provides a glimpse at just how exciting the Google Pixel Watch could be. Would you buy this over the Samsung Galaxy Watch? The tantalising Pixel Watch video was created by Concept Creator, and reveals a smartwatch that appears to be in-keeping with the most recent leaks and rumours around the much anticipated smartwatch. 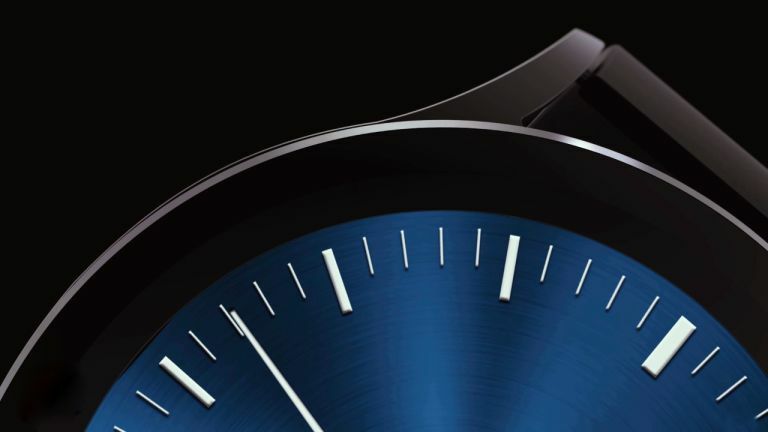 It shows a slim case, made from what appears to be aluminium or steel – it's dramatically more streamlined than other smartwatches on the market, with dimensions much more like a traditional timepiece. The display is likely to measure 1.2-inches with a 360x360 resolution. It's surrounded by narrow black bezels. Elsewhere, there are two buttons on the side, presumably used to take the user home or back a step, and a heart rate sensor on the rear of the device. Unlike the leak-tastic Google Pixel 3 smartphone, there have not been many leaks around the Pixel Watch’s hardware. Of course, one thing is for certain, the smartwatch will come running Google's wearable operating system Wear OS. While this video is unofficial, there's no doubt Google has considered making its own smartwatch, similar to how it makes its own Pixel smartphone. Whether or not we'll see the Pixel Watch any time soon is another question. No doubt we'll hear more about the future of the Google Pixel lineup at Google's event on 9 October 2018. Get the latest Samsung Galaxy Watch for under £180! But be quick, there aren't many left!